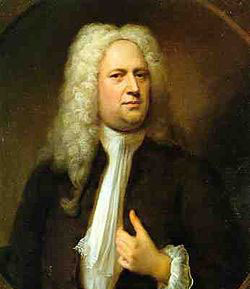 Handel, the composer of "Messiah." Maestro and music director Carlos Miguel Prieto will conduct the first night at the First Baptist Church at 5290 Canal Boulevard in New Orleans at 7:30 p.m. Prieto and the LPO perform the same works on Friday evening at First Baptist Church at 16333 Highway 1085 in Covington at 7:30 p.m. The Symphony Chorus of New Orleans will join the LPO both nights. Soloists for the two nights titled “Baroque Christmas” will be soprano Alissa Mercurio Rowe, mezzo-soprano Amanda Tarver, tenor Matthew Chellis and baritone Grant Youngblood. The Bach “Magnificat” has enjoyed a number of revisions from the time it was first composed in 1723 and expanded between 1732 and 1735. The key was changed from E-flat to D major and instruments were added and changed at the composer’s will. Four movements of the “Magnificat” that were deleted and later restored will be performed by the LPO at these performances. The work is inspired from the Latin “Canticle of the Virgin, Magnificat animamea Dominum” and taken from the New Testament passages found in Luke 1:46-55. Handel’s “Messiah,” an oratorio which speaks of the prophesies. life, death and resurrection of Jesus Christ, premiered in Dublin in 1742 to great success. However, it failed to receive similar notice when it first was presented in London that same year. It was not until the work was revised and presented at a concert for the benefit of the Foundling Hospital in 1750 that it began to enjoy the tremendous acclaim it has today. The “Hallelujah Chorus,” perhaps the most well-known choral work outside of opera, has enjoyed an interesting tradition of having the audience stand during its performance. This is credited to the time when King George II of Britain was so overcome with emotion at hearing the work that he stood as acknowledgment that Christ was the “king of kings.” The audience was forced to follow suit and the tradition of standing is still in place for most live performances of the work. Limited seating is still available. For ticket information click here or call 504-523-6530.